DRC Operational Guidelines – have been reviewed and submitted to Executive for approval. DRC Membership lists are being updated for current members (and non-members) who comply with requirements and have valid registration. Collaboration with the WHO Collaborating Centre for Strengthening Rehabilitation Capacity (Sydney Australia) to work with various ISPRM Committees. 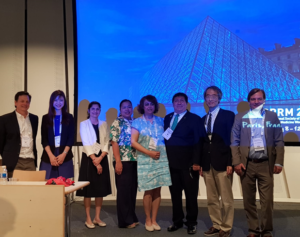 Strategy to be discussed with PC at the Kobe meeting 2019 for opportunities for capacity development in Rehabilitation Medicine, education, research and collaboration. ISPRM policy statement on response to a sudden-onset natural disaster – currently working group developing a draft response for ISPRM PC consideration. Interested members to please contact Chair DRC. ISPRM DRC participated in this Initiative by consulting on development of WHO EMT Minimum Technical Standards and Recommendations for Rehabilitation policy guidance. Also, DRC represented ISPRM at the global EMT meetings in Panama (2015) and in Hong Kong (2016) and advised ISPRM National Society members (Australia, Bangladesh) on EMT procedures for participating on national specialized rehabilitation cell EMTs in the international response to the Nepal Earthquake (2015). Currently, DRC is involved in supporting Indonesian Rehabilitation Faculty (EQ in Lombok)-liaising with Dr Angela Tulaar. Dr Ganchoon supporting Philippines Society Rehab Medicine for Hurricane Mangkhut. Set up an ISPRM dataset for individual NS to have rehab physician membership lists willing to undergo disaster training and possible deployment to disaster settings if requested. 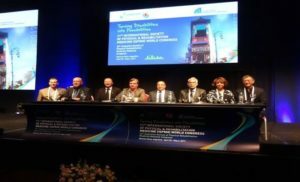 Pilot project under auspices of the Rehab Medicine Society Australia and New Zealand completed. A Survey Monkey tool is being reviewed for possible use for other NS if considered appropriate. Facilitating ISPRM NS liaison with national health/emergency/ministry agencies (via WHO regional office contacts etc.) to include physiatrists/rehab professionals on national response teams; establish specialized rehab response cell teams. Provide disaster rehab education and training to non- rehab professional responders (at immediate, first, mobile medical team, and district hospital levels) etc. Workshops planned at Chengdu Centre in late November 2018 with West China University team WHO EMT. DRC guidelines for traumatic injuries (i.e., TBI) in low resource settings (approved by PC ISPRM in 2017). This collaborative initiative is accepted for publication in the JISPRM. Complications of TBI in Disaster settings is now complete and about to be sent for peer review and publication. Evidence for Trauma rehabilitation and review of existing international guidelines using AGREE tool completed and submitted for publication. Trauma rehabilitation and lessons for Disaster settings- submitted for publication. Teaching sessions planned with Bangladeshi Society of Rehabilitation Medicine and Bangabandu Sheikh Mujib University Dhaka in September 2018. Work is underway to develop a free ‘online training tool’ for rehabilitation for global reference and other relevant ISPRM committees. Regular updates on DRC activity and updated list of international conferences for DRC sessions (WFNR, AOSRM etc) will be provided for ISPRM members. All input welcome. DRC history to be documented. Working Group underway. Attendance of DRC members at various endorsed conferences to represent ISPRM- funding requests for PC approval can be forwarded to DRC financial Officer for completion of appropriate paperwork.